Mobile is changing the way that people communicate, work and play, and much of the growing adoption and innovation is driven by mobile apps. With Mobile App Analytics, you can measure your entire user journey on your app from first discovery and download to in-app purchases and engagement, helping you make better, data-driven decisions for mobile investment. 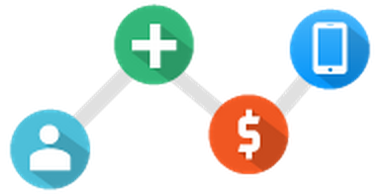 Watch this video for more details on monetizing your app with AdMob. Google Analytics mobile reports can be found under the Audience section on the Reporting tab. They show you statistics by location which lets you understand the current origins of mobile traffic, and make predictions about where traffic will increase. With key insights and metrics such as which devices are driving traffic to your site, bounce rates and visit duration, you can design your website to give visitors what they need on smaller smartphone screens as well as tablets and desktops. There are no rules around mobile strategies, but mobile sites need clearly defined goals in order to be successful. For example, your goals might revolve around engagement and visits. If you have location-specific content, you may want to incorporate local elements into your mobile offering. Your site goals should align with the needs of your users. 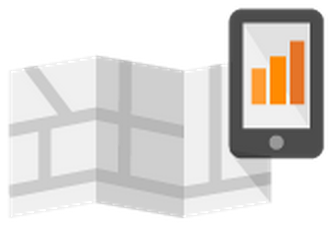 Google Analytics mobile reports provide a breakdown of visitors by whether or not they visit using mobile devices. Use this information to shape your multi-screen strategy. If you’d like to place ads on a mobile site designed for users of high-end devices, use AdSense for content to create your ad units. To help you optimize your mobile presence, we’ve created a custom Mobile Key Metrics Dashboard for you to download. Once downloaded, just select which profile you’d like to import. You can access this dashboard any time by clicking ‘Dashboards’ under the Reporting tab in your Analytics account. Don’t forget to submit any questions you have on the topics covered in this blog post. We’ll share a video at the end of this series answering your top questions. Next week, we’ll continue our blog series, looking at how specific Analytics insights can help you grow user loyalty on your site. How does your site perform across devices? With multi-device usage growing rapidly, understanding how mobile users access and interact with your site’s pages is becoming more and more essential. You can use Google Analytics to measure mobile sites and apps interaction as well as visits from web-enabled mobile devices, including both high-end and basic phones and tablets. 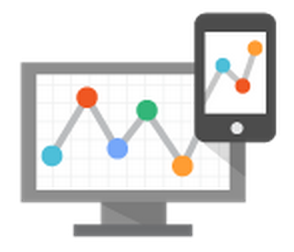 Check out the following tips to grow your mobile presence with insights from Analytics.